Until he was caught — twice — Michael Foreste spent years ferrying prescription opiates from New York City to Vermont, where he sold them for hundreds of thousands of dollars. He acquired a tough-guy nickname, "Beast," despite the fact that Foreste is a college graduate and close to his mother. Now in prison awaiting sentencing, Foreste is trying to understand why he chose a life of crime and how to make different choices when he ultimately is freed. Weekly therapy sessions break up his otherwise empty days. His counseling is part of a pilot program recently launched by University of Vermont psychologists. Their theory: Inmates such as Foreste may be particularly receptive to treatment for mental health issues or substance abuse during the limbo of pretrial or presentencing detention. If it works, the researchers say, the program could reduce the likelihood that prisoners will reoffend upon release. "When you're pretrial, there's usually nothing to do that's positive," Foreste, 36, told Seven Days during a March 30 interview inside Northwest State Correctional Facility in Swanton. "This program gives you things to go back to your unit and think about. 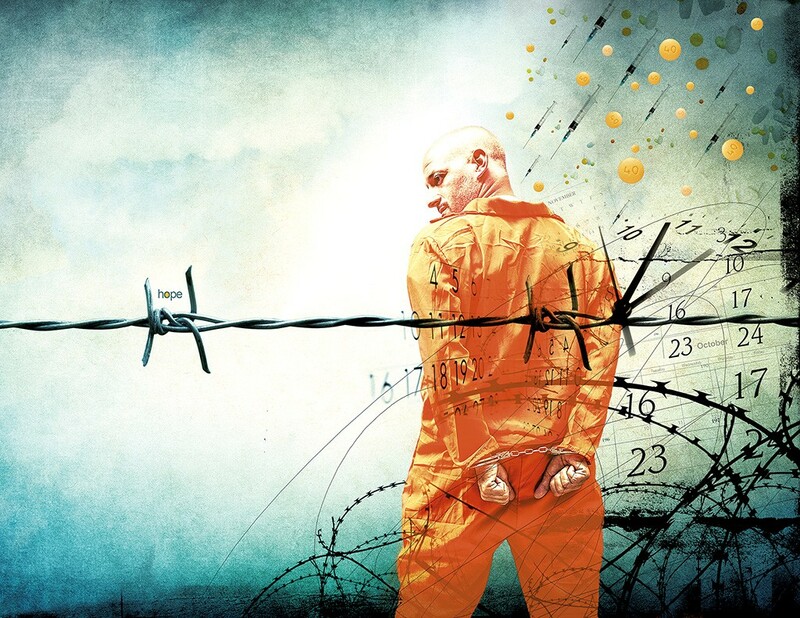 This was the first [time] I and other inmates have gotten to work on different problems." The program, funded by UVM and run by a professor and two doctoral students, is the latest initiative aimed at reducing criminal recidivism by treating underlying issues, whether mental health problems or substance abuse. Longer-established programs for addiction therapy and life skills treat people who are serving their time. Some treatment is generally also available for defendants awaiting trial who live in the community. But a huge gap leaves behind many inmates: the hundreds of prisoners who are awaiting their trial or sentencing hearing. In the Vermont state prison system, that's around 400 people on any given day. Another several dozen federal inmates in Vermont fit the bill, and they are the ones being offered the UVM program. These prisoners are perhaps the most willing to try treatment. The harsh consequence of their criminal activity is confronting them, often for the first time. And they have incentive to present themselves in the best possible light when they go before a judge to be sentenced. They have nothing to lose by giving treatment a shot. "They're in this limbo period where they're not really sure what their future holds, and that can be a great time to change," said Eli Klemperer, a doctoral psychology student at UVM who has been providing therapy to Foreste and other inmates. "A lot of them have been struggling for a long time. We have this window of opportunity where they themselves are very motivated to show up and engage in treatment." But in both federal and state prisons, inmates in this limbo state often end up serving so-called "dead time." Inside Northwest State, Foreste said, that has meant prisoners spend their days playing poker or watching television and never confronting the issues that may have led to criminal behavior. "I've seen guys get released, and weeks later they come right back in," said Foreste (pronounced "forest"). State and federal prisons provide inmates with access to self-help groups such as Alcoholics Anonymous and Narcotics Anonymous. But more is needed for the legions of inmates who struggle with mental health and substance abuse problems, UVM officials say. The UVM team is trying to change that by offering both group and individual therapy. Its strategy includes "cognitive behavioral therapy" and "motivational interviewing." In layman's terms, the team is trying to prevent relapse and address the panoply of mental health issues — anxiety, depression, PTSD and anger — that plague many criminal defendants. Since the program launched in October, more than 40 federal inmates facing charges in Vermont have each received around 100 hours of therapy, either in group or individual sessions. It's voluntary for inmates. So far, Klemperer said, inmates have a 92 percent attendance record. There is already a small wait list. During Friday meetings in Northwest State's visiting rooms, the prisoners discuss examples of things that have gone well in the past week and challenges they still face. They are given weekly homework assignments to reinforce the lessons and prompt them to think back on mistakes made. Some get counseled one-on-one; others meet in groups of up to 10. With the opiate crisis raging, much, but not all, of the work addresses addiction. Foreste makes no excuses for his situation, noting his family and education. While he used marijuana and pain medication, he said, he was never an addict. He did get hooked, he said, on something else: drug dealing's easy money. But he said he suffered from longstanding problems with anxiety. Perhaps more telling, he says he never bothered to step back and think about the long-term consequences of his actions. "I didn't think about the pros and cons of what I did. I was just reacting," said Foreste. Foreste graduated from St. John's University, a private Roman Catholic college, in 2003 with a degree in psychology. Still, he got into the drug business. Foreste was arrested in 2012 on Interstate 91 with 659 oxycodone pills. Convicted, he was free pending an appeal when he got involved in a second, higher-profile bust. In June 2014, cops arrested him and seized 10 cellphones and ledgers of drug sales, court documents say. Authorities also charged his alleged supplier, New York City police officer Andre Clark. A jury convicted Foreste in October of drug dealing and money laundering. Authorities say he had made more than $500,000 selling drugs in Vermont over six years. Five months later, Foreste sat in a quiet conference room leafing through a folder of papers a therapist had left for him to study. It has helped him think through his actions, instead of reacting with emotion, he said. "That's one of the things the program has brought to light. It helps me weigh the pros and cons," he said. "It does something to you when you write it down. It makes you see there are no pros to illegal activity. They ask you what's important to you. To me, it's my family. Is illegal activity going to help you with your family or take you away from your family? You've got to realize illegal activity is going to take you away from your family." That sounds simplistic. But experts say it's just as critical to discourage criminal behavior as it is to try to address addictions. "I think it gets at root causes," said U.S. District Court Judge Christina Reiss, who helped create the UVM program. "It's all about criminal thinking and ways to address triggers and stress. It's not, 'What did you do wrong?' or 'Tell me every bad act you've committed.'" The judge acknowledged the program won't resolve all of an inmate's issues, but noted it gets the inmate and a "highly motivated and a skilled clinician" together for "real-life skills and behavior modification." Reiss got the idea from prisoners who appeared before her. Federal inmates are routinely held in state facilities. During sentencing hearings, Reiss kept hearing from defendants that they wanted to remain in one particular pretrial facility — the Essex County Jail in Lewis, N.Y. — even after they were sentenced. A drug counselor there, Dennis Furushima, had created a program to provide treatment and life skills to prisoners. About half of the jail's population have chosen to participate, and criminal justice reformers from across the country have studied Furushima's work. Reiss and other officials brought Furushima across Lake Champlain to talk, and last fall they launched their version of his program. Nothing inmates say in therapy can be used against them. There is no guarantee that inmates will receive lighter sentences for taking part, though Reiss said she is happy to consider any progress defendants make before issuing her decision. UVM hopes to expand the federal program to Vermont's women's prison, the Chittenden Regional Correctional Facility, in the coming months. And everyone involved hopes that if follow-up studies verify their belief that the program is effective, it could expand further in the Vermont Department of Corrections, where it could reach several hundred more inmates. UVM has secured agreements with inmates to follow up with them after they leave the program to determine whether they have continued in treatment, located additional services or committed new crimes. UVM officials hope to compare results to national studies on treatment and recidivism. UVM has picked up the tab for the program, slated to be $93,000 the first year, mostly to pay mileage and stipends for Klemperer and another doctoral student. If the studies show that the program works, UVM officials hope to look for government or nonprofit grants to expand it. Department of Corrections Commissioner Lisa Menard said she believes the program could hold promise. But there is currently no funding for the agency to implement it on a larger scale, Menard said. The DOC's treatment resources are focused on inmates who have already been sentenced and deemed a moderate or high risk to reoffend. "We really can never move too far away from that funding conversation," Menard said. Foreste, meanwhile, is scheduled to be sentenced later this month. He will almost certainly cite his progress in the treatment program in seeking leniency. But federal sentencing guidelines suggest that even if the judge is sympathetic, Foreste is likely to remain behind bars for several more years. Still, he will almost certainly be released at some point. Foreste says he is determined to prove that the resources provided to him by UVM have been well spent. "I have more of an understanding of how I behave," Foreste said. "I have an idea of what not to do, of who my support system is, what my triggers are. Now, something happens, and I think about it. I've made mistakes in my life I wouldn't make again."